Hailed by The New York Times as “an elegant and accomplished artist”, cellist Claudio Jaffé fascinates his audiences with his colorful and passionate virtuosity. Jaffé has performed in some of the most prestigious concert halls around the world, having performed in over 40 America states. He regularly conducts master classes and has served on the faculty at several music festivals and universities. Jaffé was Dean of the Conservatory of Music at Lynn University for four years and was Resident Conductor of the Florida Youth Orchestra for 18 seasons. 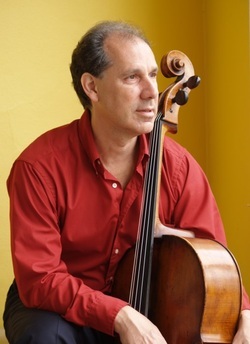 He created and directed the String program at Saint Andrew’s School in Boca Raton, and currently teaches cello at Palm Beach Atlantic University, in addition to being a regular member of the Delray String Quartet.